Hello! Have you missed me? I know it’s been over a week since I’ve posted, but I promise I have good reason for my absence. Besides Dining With Dani and my clearly less-fun day job, I also write movie reviews for Examiner.com. 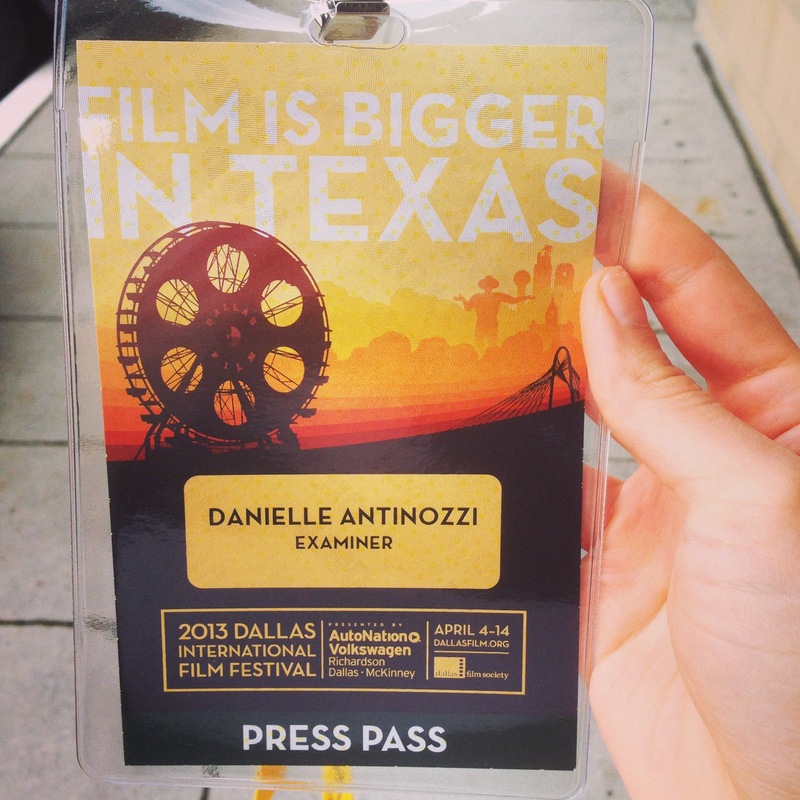 Because of this, I was invited this year to be part of the Press for the Dallas International Film Festival. I am so thrilled that they allowed me to be part of it this year. I have been to the festival several times before this, but once was as a student and once I just bought a bunch of vouchers and traded them in to see random movies. With this pass I could see every single movie at the festival (There was 175 of them!) and I got an opportunity to do red carpet coverage before the films each day. It was a crazy 11 days. Between watching dozens of movies and getting to interview celebrities like Mary Elizabeth Winstead (pictured) and up-and-coming filmmakers like my new Canadian friends behind The Dirties film, I was never home. I came up with ideas for recipes while in line to screen movies, but had no energy to bring them to life once I got home. My bed was too inviting. Although I am sad to say goodbye to the 2013 festival, I am excited to get back in the kitchen. When the festival ended yesterday, Texas thanked me for my participation by kicking up the heat about 20 degrees. Dallas almost reached the 90s yesterday. Although I hate the heat, I was excited because it was perfect grilling weather. I want to drop some pounds before my cousin’s wedding in July, so I thought I would grill some chicken and ended up coming up with this Grilled Balsamic Chicken. It was so easy to do. You just throw all the ingredients in foil and put them on the grill for a few minutes. Voila, a delicious and beautiful looking meal! 1. Turn on your grill and let it heat. 2. Tear aluminum foil into 4 large pieces. 3. 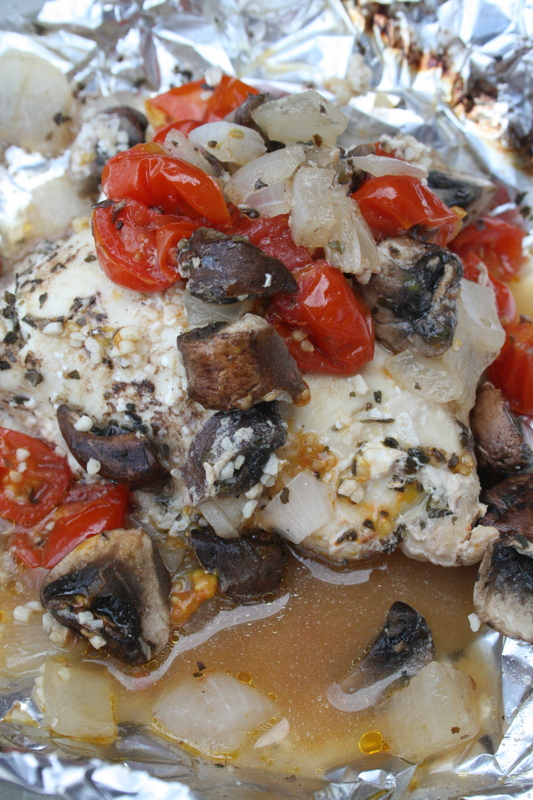 In each piece place one chicken breast, top with a tablespoon of balsamic vinegar and a heaping tablespoon of garlic. Add 1/4 of each of the veggies. Top with basil. 4. Wrap up the chicken tightly in the foil. Cook for 25 minutes. Serve the chicken with some steamed broccoli or throw some in a packet with some olive oil on the grill for a roasted flavor. 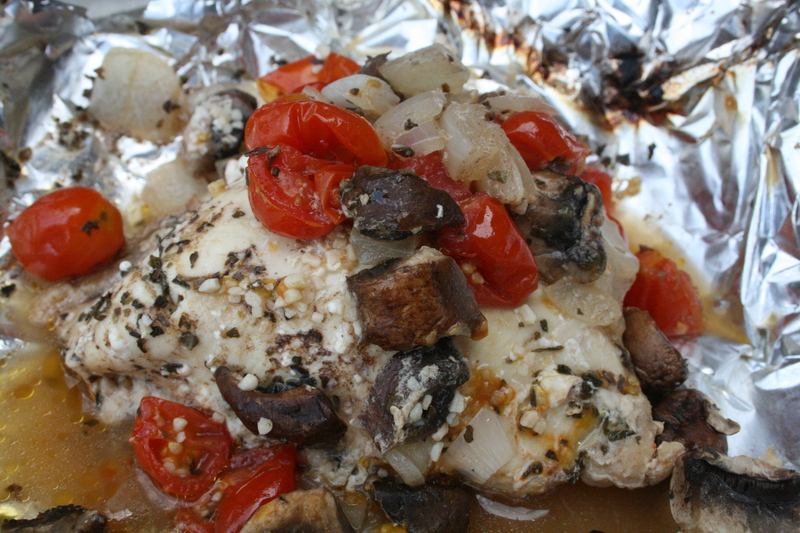 This entry was posted in Main Dishes and tagged chicken, grilled, healthy, mushroom, onions, tomatoes. Bookmark the permalink.